A triathlon is a multi-stage race that involves the completion of three continuous endurance competitions. While there may be some variations to the sport, a triathlon usually involves swimming, cycling, and running in direct succession over varying distances. Triathletes compete for the fastest overall course completion time. A participants’ time also includes the “transition” times between each separate event. Triathlon training usually has many participants as former veterans of road races such as a 5-10K run or a 25-50K bike race. Contestants are also grouped by gender and age. The more serious participants are regarded as Elite competitors. Obviously, a triathlon training program is very rigorous and is only for the more finely tuned athletes among us. It is demanding in any form, and requires superb endurance from the participant. You must also be very adept at all the three sport disciplines to be able to be competitive. Before embarking on any triathlon training schedule, you should also prepare yourself mentally so you can break through to higher levels of performance and endurance. While training hard, one must also learn not to overdo it. Rest is a very important component of the program. Here is a triathlon training schedule that you could try out which is tailored for triathlon training for beginners. Don’t be fooled by the word beginner, as this is going to be a grueling routine from menshealth.com. I: Training Zone I workouts should be performed at 50-60 percent of maximum heart rate. This should feel easy. Your breathing should be slightly elevated, but you should be able to hold a conversation without trouble. II: Training Zone II workouts should be performed at 60-70 percent of maximum heart rate. This is a moderately easy pace. Your breathing will feel more labored, but you should still be able to talk. III: Training Zone III workouts should be performed at 70-80 percent of maximum heart rate. This is a moderate pace. It’ll be hard to hold a conversation—you can spit out a few words at a time. IV: Training Zone IV workouts should be performed at 80-90 percent of maximum heart rate. This is a moderately hard pace. You’ll be struggling to talk. But remember—it’s not all out. You should still be able to maintain this pace for around 20 minutes. Your maximum heart rate is 220 minus your age. Make calculations for the various ‘zones” based on that figure. For example, 220 – 35(age) = 185 beats per minute maximum heart rate. Now comes the workout. By the end of this triathlon training program, you should be able to compete in an actual triathlon in 6 weeks time. Use this triathlon training schedule whenever you have to prep for a race. This triathlon training guide is also lifted from menshealth.com. Finally here are some triathlon training tips that you should keep in mind in order to get the most out of your workouts from active.com. Remember also to manage your expectations of yourself when competing for the first time. Some of these tips do exactly that. 1. Go short before going long. 2. Stay close to home. For the first race, make it easy on yourself and select an event close to home. 3. Just a swim suit and goggles for the swim. of the event. 4. Your bike is fine. 5. You need running shoes. 6. It doesn’t take as much training as you might think. 8. Transition time counts too. So are you up to it? 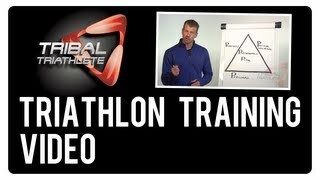 If you are then this is the triathlon training guide to get you started. Who knows, you could just be the next ironman.